Railway Recruitment 2018 for JE: 14,033 Vacancies. Railway Recruitment 2018 for JE: 14,033 Vacancies - Apply Online. Railway Recruitment, Railway Recruitment Board has rolled out the recruitment notification in the employment newspaper for the various posts. 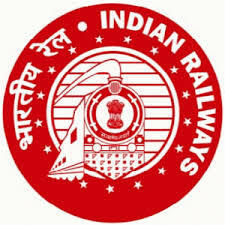 Railway recruiting for the posts of Junior Engineer, Depot Material Superintendent and Chemical & Metallurgical Assistant and the total number of vacancies for the recruitment is 14033. All the eligible and the interested candidates can apply for the posts from the 2 January 2018 and the last date to submit the online application is 31 January 2018. Check the information given below. आयु सीमा : न्यूनतम: 18 साल, अधिकतम: 33 वर्ष. ऊपरी आयु सीमा अनुसूचित जाति / अनुसूचित जनजाति 5 साल, अन्य पिछड़ा वर्ग 3 साल, विकलांगों को 10 साल, पूर्व सैनिक को 5 साल. MCL Recruitment 2019 for 370 Vacancies of Various Posts. MCL Recruitment 2019 for 370 Vacancies of Various Posts - Apply Online. 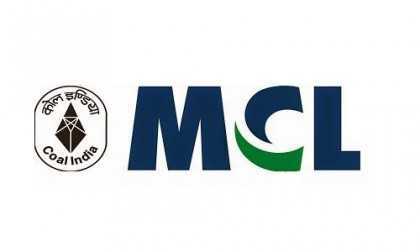 MCL Recruitment, Mahanadi Coalfields Limited (MCL Recruitment), MCL Recruitment 2019 / MCL Bharti 2019 has released the notification for the recruitment of Jr Overman, Mining Sirdar & Dr Surveyor Posts in MCL, Sambalpur, Odisha. The total number of vacancies for recruitment is 370. Eligible candidates can apply for the posts. The last date to submit the online application is 10 January 2018. To know more about the MCL Recruitment check the information given below. CRPF Recruitment 2019 for 359 Posts of Head Constable Constables. CRPF Recruitment 2019 for 359 Posts of Head Constable Constables - Apply Online. आयु सीमा : न्यूनतम: 18 साल, अधिकतम: 23 वर्ष. ऊपरी आयु सीमा अनुसूचित जाति / अनुसूचित जनजाति 5 साल, अन्य पिछड़ा वर्ग 3 साल, विकलांगों को 10 साल, पूर्व सैनिक को 5 साल. 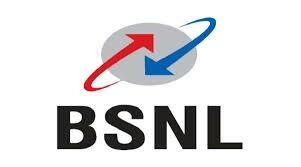 BSNL Recruitment 2019 for 150 Vacancies of Management Trainee. 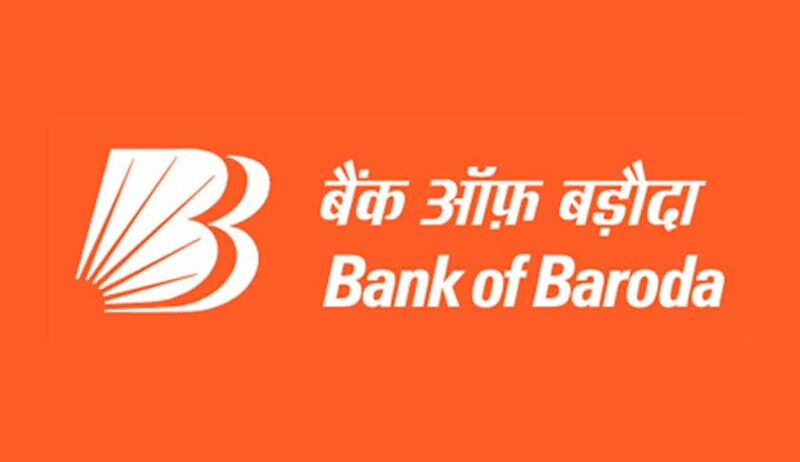 BSNL Recruitment, Bharat Sanchar Nigam Limited, BSNL Recruitment 2019/BSNL Bharti 2019 For 150 posts of Management Trainee (Telecom Operations) Posts. All the interested and the eligible candidates can apply for the posts from 26 December 2018. The last date to submit the online application for the recruitment is 26 January 2019. To know more about the recruitment notification check the details given below. आयु सीमा : अधिकतम: 30 वर्ष. ऊपरी आयु सीमा अनुसूचित जाति / अनुसूचित जनजाति 5 साल, अन्य पिछड़ा वर्ग 3 साल, विकलांगों को 10 साल, पूर्व सैनिक को 5 साल. Western Railway Apprentice 2019 for 5718 Vacancies. Western Railway Apprentice 2019 for 5718 Vacancies - Apply Online. Railway Recruitment Cell, Western Central Railway (RRC WCR) Recruitment Mumbai has rolled out the notification for engagement of Apprentices 2018-19. The total vacancies for the recruitment are 5718. 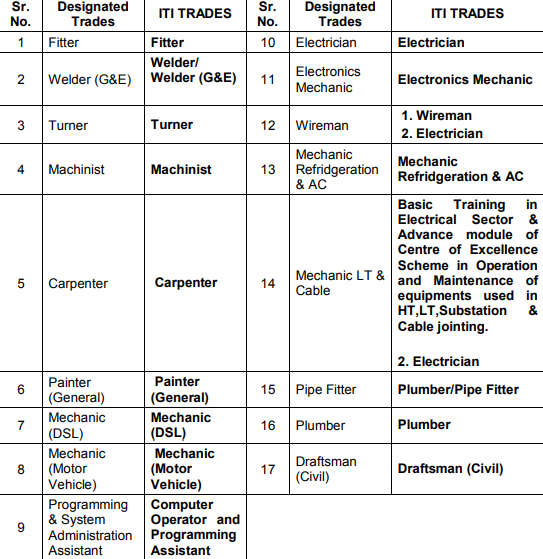 Eligible and interested ITI passed candidates can apply online for Apprentices. The last date to submit the online application for the recruitment is 9 January 2019. To know more about the recruitment notification check the details given below. आयु सीमा : न्यूनतम: 15 साल, अधिकतम: 24 वर्ष. ऊपरी आयु सीमा अनुसूचित जाति / अनुसूचित जनजाति 5 साल, अन्य पिछड़ा वर्ग 3 साल, विकलांगों को 10 साल, पूर्व सैनिक को 5 साल. East Central Railway Apprentice Recruitment 2019 for 2234 Vacancies. East Central Railway Apprentice Recruitment 2019 for 2234 Vacancies Apply Online. Railway Recruitment Cell, East Central Railway (RRC ECR) Recruitment Patna has rolled out the notification for engagement of Apprentices 2018-19. The total vacancies for the recruitment are 2234. 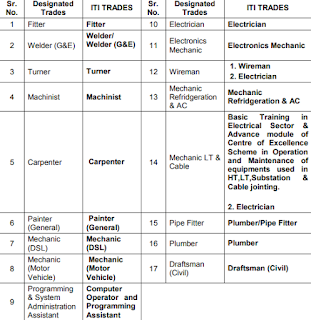 Eligible and interested ITI passed candidates can apply online for Apprentices. The last date to submit the online application for the recruitment is 10 January 2019. To know more about the recruitment notification check the details given below. South Indian Bank Recruitment for Probationary Officers(PO). South Indian Bank Recruitment for Probationary Officers(PO) - Apply Online. The South Indian Bank Recruitment, The South Indian Bank has released the recruitment notification for the Probationary Officers In Scale-I Cadre on successful completion of Post Graduate Diploma in Banking & Finance (PGDBF) Course. The south Indian bank has not declared the exact vacancies for the recruitment. All the eligible and the interested candidates can apply for the post from the 10 December 2018 and the last date to submit the online application is 16 December 2018. Check out the information and advertisement given below. आयु सीमा : अधिकतम: 25 वर्ष. ऊपरी आयु सीमा अनुसूचित जाति / अनुसूचित जनजाति 5 साल, अन्य पिछड़ा वर्ग 3 साल, विकलांगों को 10 साल, पूर्व सैनिक को 5 साल.